Address: Location : Nellikkuzhi P.O, Kothamangalam, Ernakulam - 686691, Kerala. Indira Gandhi Institute of Engineering & Technology for women was established in the year 2009 and is affiliated to Anna University Chennai. The college is approved by All India Council of Technical Education (AICTE). The institute is managed by Indira Gandhi Memorial Trust. The college is located beside the canal to the east of Nellikuzhi town in the Indira Gandhi Educational Campus, which is situated 3 kms away from the western side of kothamangalam. 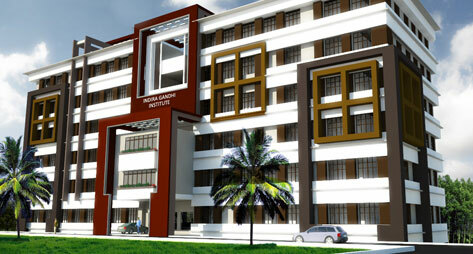 It is one among the first engineering college in Kerala exclusively set up for women. It provides an integral, inter-disciplinary education, a unique intersection between theory and practice,passion and reason. A separate placement and training cell is actively functioning in the college. The Placement Unit is headed by a full time Training and Placement office under Prof. Raju Jacob and supported by faculty members and student representatives from each department. It organize various types and levels of training programmes like mock-interviews, group discussions, model test for various types of Aptitude Tests. The faculty of the College has been carefully handpicked and is capable of moulding their students into successful global professionals. The Institute provides good infrastructure facilities such as Library, Canteen, Classrooms, Seminar hall, Reading hall, Laboratories, Sports, Workshop, Transport, Hostel accomodation. Eligibility:- Pass in Higher Secondary Examination of the Board of Higher Secondary Education of Kerala or an examination recognized equivalent thereto with at least Fifty percent marks in Mathematics separately and Fifty percent marks in Mathematics, Physics and Chemistry/equivalent subjects put together or equivalent grade. Admission Procedure:- Admission is based on Engineering Entrance Exam conducted by Commissioner of Entrance Exams, Govt. of Kerala.